Warfront Service Medals are a new currency added with 8.1 patch. There’s 2 varieties of Medals: Honorbound Service Medal for Horde players and 7th Legion Service Medal for Alliance players. For Warfront Medals you can buy different items from Warfront vendors. Most valuable are two mounts, a follower, transmog backs and a ring of ilvl 395. 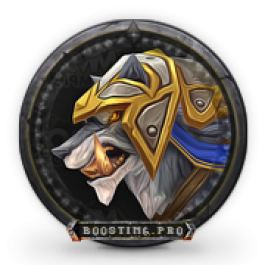 Honorbound Service Medal and 7th Legion Service Medal are obtained not that easily, so we have created a service for you named Warfront Service Medal boost. Buying Warfront Service Medals from us you can be sure that we will fulfill your order in shoryest time and with max safety for your account. 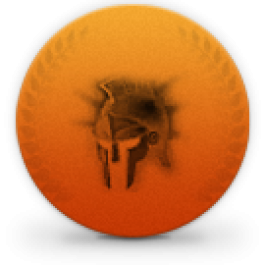 You will get your ordered quantity of Warfront Medals (7th Legion Service Medal or Honorbound Service Medal). You will receive Gold, Azerite and other items dropped for you. You can obtain 370+ item level gear. All our boosters are internally tested and go through a trial period and as a result we select only the most reliable and proven boosters. 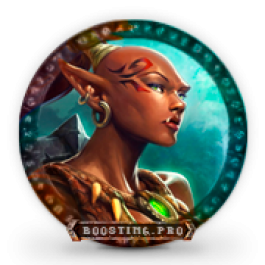 Our boosters do not use any software or bots for speeding up your order completion. We always try to use VPN of your country to ensure maximum safety for your account. When doing Warfront Medals boost we can stream or do screenshots on different stages of the boost, if you request it. Warfront Service Medals service is available for following regions – Europe, America, Russia. Piloted options are available for this boost. Ordering Warfront Service Medals service you can also buy additional options and thus save significant amount of money compared to ordering extra services one by one. We only ask for login and password. We will never ask for secret answer or access to your email. For this service we will ask you to disable authenticator or configure it so it doesn’t ask for code on each login. 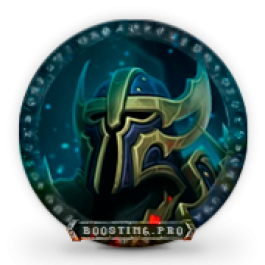 Why is there no exact time to do the boost? This mount drops with 1% chance so we cannot define the time of completion exactly. But the more characters you have on your account, the higher the chance of its faster acquisition. Can I play directly after placing an order? After making payment the mail with confirmation that the order was placed and being processed will come to your E-mail. After that our managers will surely contact you to discuss details about the order and time when you want it completed. You can play at any time but the time it’s settled down for the completion of your order. Also, for the completion of your order you should do the locking-unlocking process of the account. Account sharing – what is it and why do you need it? 1. I want to get the experience of killing bosses. Passing the dungeon = loot run. Does not include coaching (training), it’s classified as another service. After lying dead the whole fight, each boss, you will not get the experience, but only complicate the completion of the raid instance or even bring it to wipes. Thus, the amount of time spent on the completion of the raid may increase by several times. 2. I don’t trust anyone to use my account. We understand your concerns, your account may have rare mounts, pets, transmog sets, a large amount of game currency or simply you are afraid that the player will respond to your friends via Battle.net chat or in the guild. We only work with the best guilds in the world and ensure that this stuff doesnt happen with your account! We also guarantee complete integrity of all your inventory, and of course our players, under any circumstances, will not respond in chats. 3. How do I know that I was not fooled with the loot? It’s simple. Players will provide screenshots of loot from each boss under your request. Also, if you want, guilds can provide stream of the raid, and also you can track the drops via guild’s page in Armory. Can I play PvE myself? On rare occasions it’s possible, but it requires additional payment. With this and other questions not included in the FAQ you can contact our operators via Skype and Live Chat. How do I unlock my account? 1. After you pass us your account data, our player will try to log onto your account. After that you will receive an E-mail (to the mail what’s your Battle.net account is attached to) with a notification that you have to change your password. In the mail there will be a link, when you click it you’ll be redirected to Battle.net site, and there you will be able to reset your password. 2. After receiving confirmation that the password was reset, you should immediately close Battle.net account and don’t check if the password is working or not. If you would do it, we’ll have to repeat this procedure over and over again. 3. Then you’ll have to tell this new password to us, and we’ll pass it to the player. We want to let you know that sometimes it’s needed to change password two or three times. As soon as our player can log in onto your account, we’ll contact you again for future details. Antorus Heroic Full Gear is a great way to gear your character into a full set of 945+ gear, which will suit for progressing Mythic ideally. Order mount Ironclad Frostclaw available for Alliance only for completing “Two Sides to Every Tale” achievement will be possible in 8.1.5 patch. When buying Antorus Heroic – Personal Loot you will be participating in raid with Personal Loot system, where every player can receive items personally independent of other players’ loot. After you buy this service we will help you to receive the title “Gladiator” or “Fearless Gladiator” and become the proud owner of exclusive and recognizable mount. This elite titles are valued the most in the PvP community as the very limited range of players can get it, that are in the top 0.5% (Gladiator) and top 0.1% (Fearless Gladiator) of regional ladder. As an additional option selfplay is available up to some easy possible rating. Character transfer is not required, we assemble group through Battle.net. All copyrights, trade marks, service marks belong to the corresponding owners. All included here mentioned brand names are registered and property of the respective companies. World of Warcraft (tm) and Blizzard Entertainment are registered trademarks of Blizzard Entertainment Inc. League of Legends is a registered trademark of Riot Games, Inc. We are in no way affiliated with, associated with or endorsed by Riot Games, Inc.